List and sell with ease. Licensed Seller’s Agent & Realtor® in Southwest Iowa. Selling your home doesn’t have to be a frustrating process. I work to ensure that each of the stages goes smoothly and keep you aware of exactly where we’re at in the process the entire way. I will work with you and your family to sell your home as quickly as needed and earn the very best price. Give me a call or send me an email to tell me about your home. I’ll gather some initial information about the home and set up a time for our first meeting. This is an important meeting. I get to know you and your family and find out about your exact needs and how I can meet them. Of course, I also get the chance to give your home an initial tour and get details about how it will perform in the current market. Early in the process, I’ll gather the most relevant comparable home sales and use them to help you determine the best listing price based on how quickly you’d like to sell your home. Every property sale is a bit different. This is the part in the process that will vary depending on the exact details of your situation. I’ll work with you to determine any steps you should consider before listing your home. I’ll also let you know of any potential issues you should be aware of. I’ll meet with you to discuss my plan to sell your home and ensure you will be comfortable with the entire process. When you’re ready we’ll go over any necessary paperwork and get started selling your home! No one will work harder to sell your home, check the next section on this page to see what tools I use to help sell your home. I’ve had the chance to work with many closing teams in the area and will make sure this final stage in the process goes smoothly and keep you aware of any potential issues along the way. 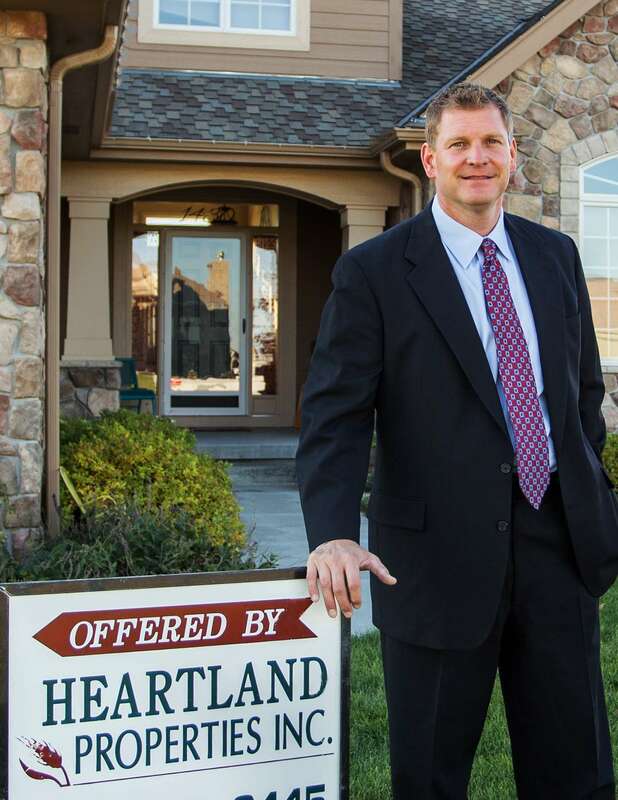 In addition to serving as a broker at Heartland Properties, I’ve worked successfully with countless licensed agents in the Southwest Iowa, and the Omaha, Nebraska area. I will make sure as many agents as possible know about your listing to help us find the perfect buyer for your home. Many home shoppers look to the newspaper to search for a home. We’ll make sure your home has an appropriate amount of coverage in the local papers. For homes valued over $200,000 I work with professional photography teams to make sure we’re capturing the essence of your home in pictures. I’ll list your home in the major listing networks. Your property will display to thousands of internet searchers and a large network of licensed Realtors. In addition, your home will be on the Heartland Properties website, multiple real estate websites, and advertised on social media outlets. I can help teach you how to share your home with your own friends and family on the web too! Why is Jason the best agent to list your home with in SW Iowa? You have many excellent choices for a real estate agent in Southwest Iowa. I’ll work to sell your home or other property as quickly and efficiently as possible and will be sure to take into account all of your concerns or any special needs you may have. I’ve worked hard to master the business and I will use my expertise at every step in the process to make sure you have a wonderful experience selling your home. Get in touch with me today for an initial conversation so I can find out how I can help you.